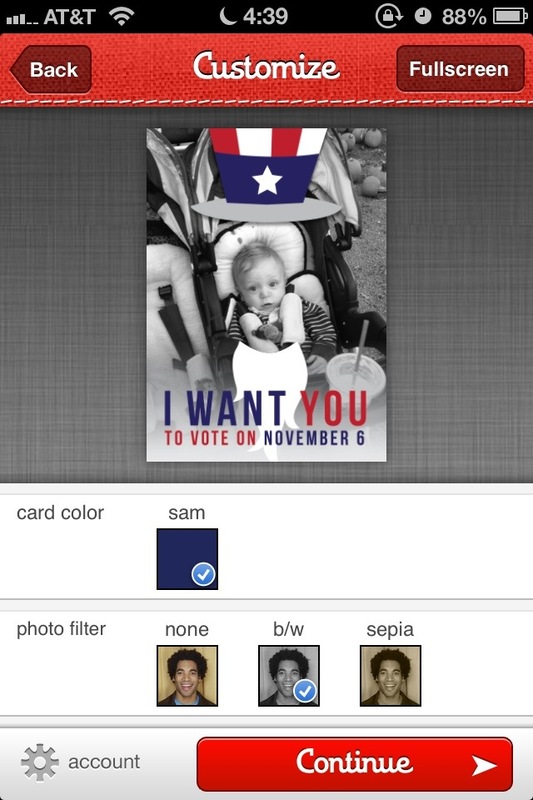 Tuesday Craziness, but Free App Postcard Review…. 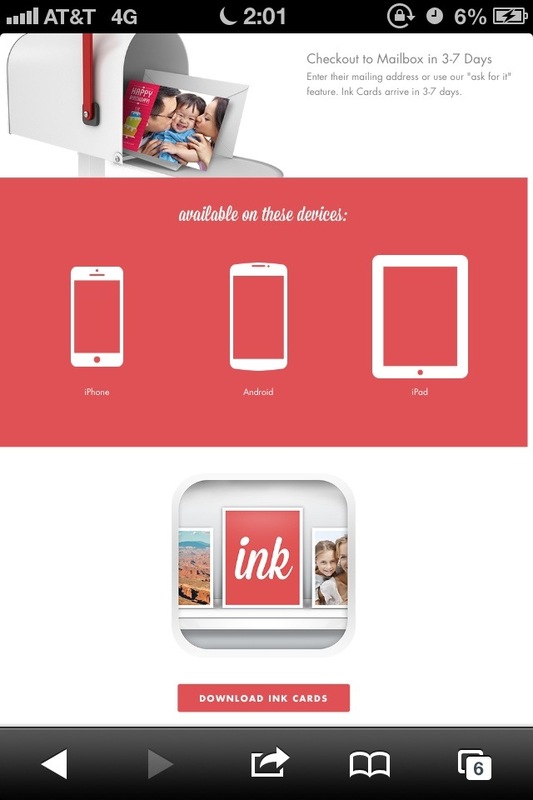 •The Best Part: 100% Free to download, use, create, personalize, and send with no cap on the amount you send! 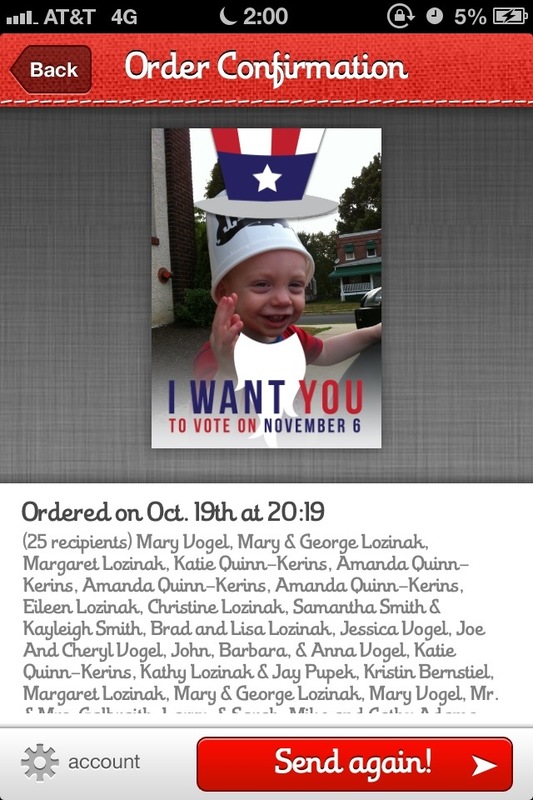 You just need to select the “Election Day 2012” category and in a few clicks, addresses selected from your contacts, your friends, family, and even yourself get to have some cute, and goofy 100% FREE 5X7 Glossy Postcards shipped within 1-3 business days. Usually these postcards can run around $1.99 each. • The FREE app is available in the Apple iTunes App Store by searching Sincerely, or clicking the link I have provided below, and can be used on any iPhone, iPad, or Android Device! 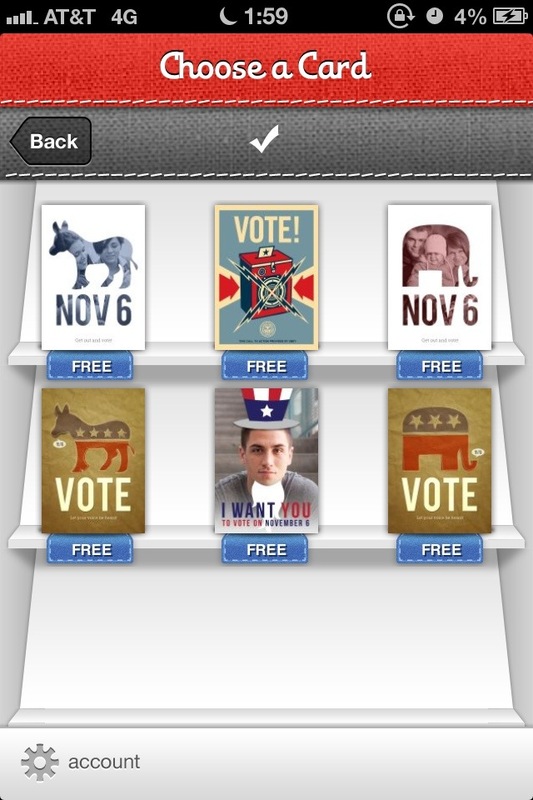 • This limited time offer ends before Election Day this year, November 6, 2012.